Home Recipes	How to make a Great Red Sauce! How to make a Great Red Sauce! Happy Tuesday, Friends! Last night I made a yummy Bolognese sauce featuring my favorite canned tomatoes. If you are a lover of Italian food, you must love a good red sauce. And my husband and I found the secret! Do you remember in the movie Fried Green Tomatoes when the character Sipsey serves barbecue to the investigator and he declares it the best BBQ he’s ever eaten? Asked about her secret, Sipsey coyly replies, “The secret’s in the sauce!” Little did the investigator know he was eating the defunct Frank Bennett. Well, the secret IS in the sauce! Several years back my husband and I started making our own pizza at home. We found a recipe by Rachel Ray and we adapted it to suit our taste. 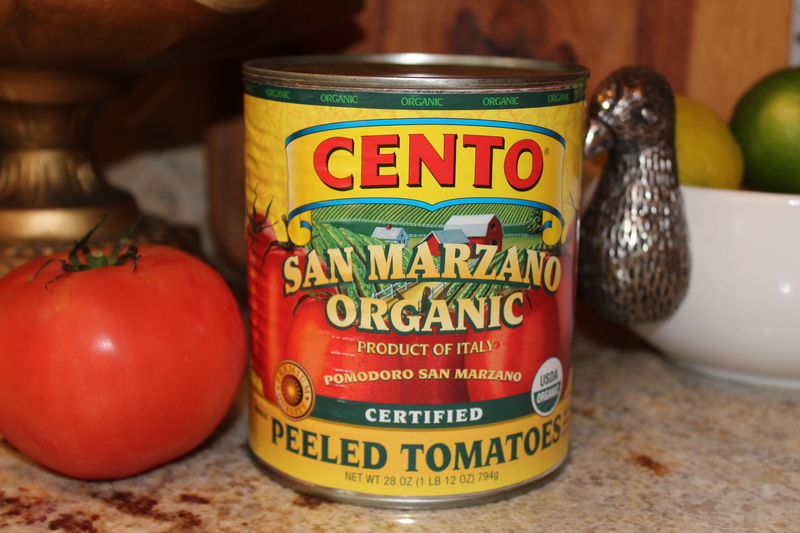 She recommends Cento San Marzano Organic Peeled Tomatoes as the base for the pizza sauce. The tomatoes are peeled but whole, so you need to crush them with your hands or a mixer. The tomatoes come in a large 28 ounce can so you can make several pizzas with one can. We usually only make one or two pizzas, so I store the leftover crushed tomatoes in a ziplock bag and freeze it to use at a later date. Trust me, it’s too good to waste a drop! Below is our favorite recipe for Bolognese Sauce. We are such a fan, I make it several times a month. Leftovers are even better than the first time around! *In a large skillet heat the olive oil over medium heat. Add onions, garlic and jalapeños. *Add carrots and celery and sauce for approx. 5 minutes. *Add ground beef, saute and stir until the beef is no longer pink, about 10 minutes. *Drain off any excess grease and return to pan. *Add, tomatoes, parsley, basil, and wine. Season to taste with salt and pepper. *Cook until the sauce thickens. Simmer for at least ½ hour or more. The longer the Bolognese cooks, the more flavorful it will become! *Serve over pasta noodles and top with Parmesan cheese. Tip: Instead of rinsing the drained pasta, toss the noodles with about a tablespoon of olive oil. This will keep the noodles from sticking together. Dollar Store Halloween Decor-3 easy crafts! Homemade Pasta with Semolina Flour!